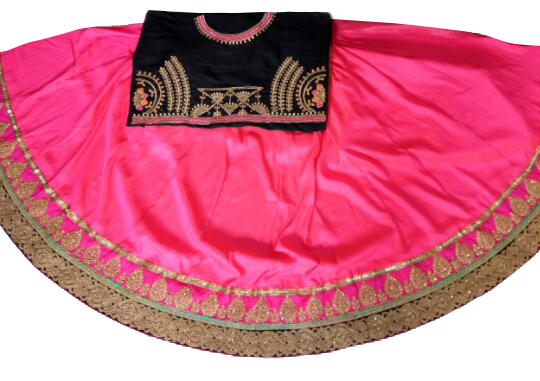 This hot pink - black lehenga embellished in heavy embroidery coding work with stone. 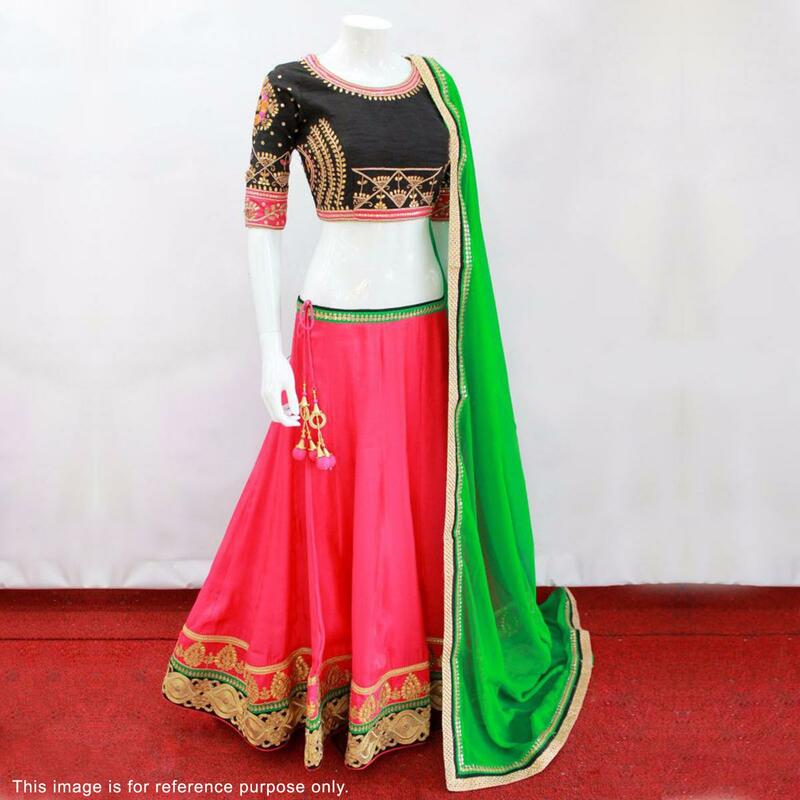 Accompanied with a contrasting black choli with all over featuring with abstract work and parrot green dupatta. It's a perfect outfit to wear on your most important day. Pair it with matching traditional accessories for a complete look. 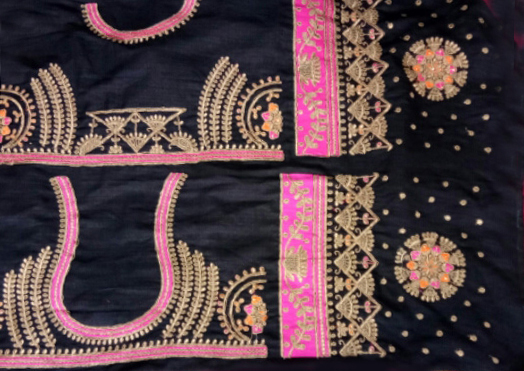 Length waist upto 40 - 42 inches and length upto 40 - 42 inches. Flair - 3 Mtr.